Sixty-five percent of grade school students will work in a job that doesn’t exist yet. How do we prepare them? Students will do a different project kit each day. Your child will bring home materials to continue their learning and fun at home. And they can attend just one day, or all four sessions in a week. Perfect for busy family schedules! Physics Carnival, June 18: Explore balance and center of gravity with colorful carnival-themed activities. Build a stamp wheel to make your own stamps and patterns. Make an amazing acrobat and balance it on your finger. Create a mysterious dancing tumbler and surprise your friends. Build and play a carnival knock-down game with a carnival catapult. Solar System, June 19: Learn more about planets in our solar system and discover how meteors form craters on the moon. Use watercolors to create beautiful paper planets. 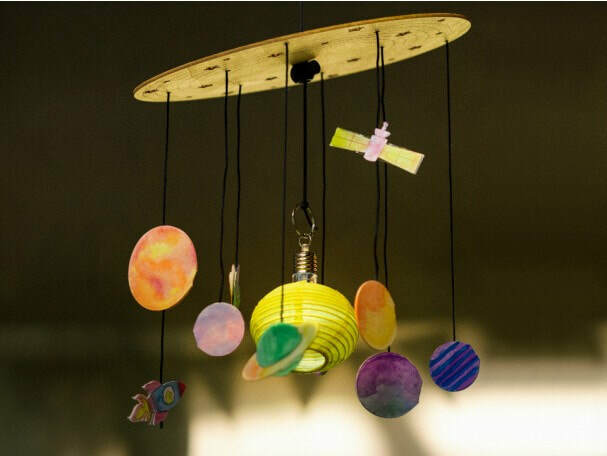 Create your own solar system mobile, complete with a light-up sun in the center. Create a meteor launcher and test your skill shooting for the moon! ​Robots and Coding Basics, June 20: Learn what a program is and why computers need them. Explore making your own programs with paper puzzles and games that build problem-solving skills and teach the concepts behind programming! Build and decorate your own friendly robot rabbit with a customizable track to run along. Write programs to solve puzzles and send your robot along a path. 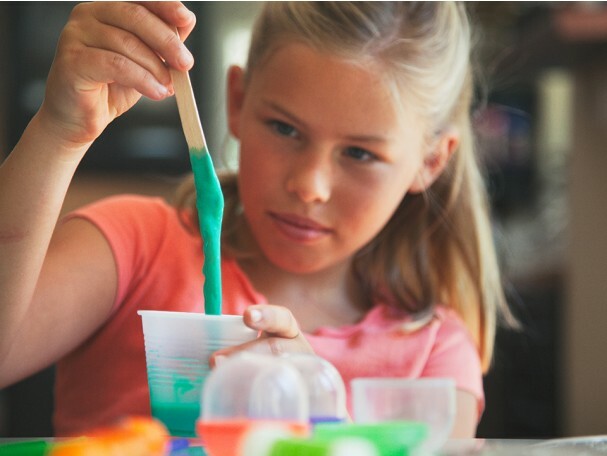 Slime, June 25: Learn how to make super slime, pick-up putty, a glowing bouncy ball, and more! Dive into experiments to learn about polymers and everyday chemical reactions. 3D Viewer, June 26: Create a stereoscopic viewer to explore the magic of 3D images. Build the body and frames of the viewer and use the 3D cards to see the images pop! Keep exploring and build a 3D mirror viewer to play around with illusions and perspective. Circuits, June 27: Experiment with circuits to peek into the amazing world of electricity! We all depend on electricity in countless ways everyday. Learn how to make your own paper circuit lanterns and try your hand at circuit-building challenges. Gravity Game, June 28: Play with gravity and take the gravity game challenge! Build your gravity game and try to make the ball roll uphill. Adjust the difficulty level of the game to become a gravity game master. Fiber Optic Stars, June 4: Explore our universe and learn about starlight! Throughout history, people all over the globe have used stars to tell stories. Learn more about these constellations and build your own! Wire up some optical fibers and turn them into a beautiful glowing constellation for your room. Hydraulic Claw, June 5: Build with hydraulics! Hydraulics are used all over, from airplanes to factories to theme parks. Learn how to build your own hydraulic lifting claw and continue experimenting with bonus design challenges. The Automaton, June 6: Take a peek inside automaton mechanics! Engineer a hand-cranked automaton that makes a marble climb stairs. Learn about other fascinating automatons in history and build your own. 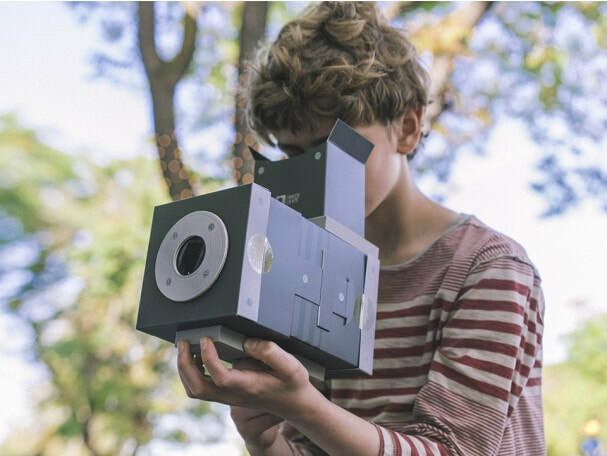 Camera Obscura, June 7: Make a camera obscura and experiment with lenses and light! * Projects may change depending on availability of kits. You will be notified before the class day if we need to change any project. If your child is not interested in attending a replacement project, you can cancel your reservation and will receive a full refund of any fees you've paid for that session. 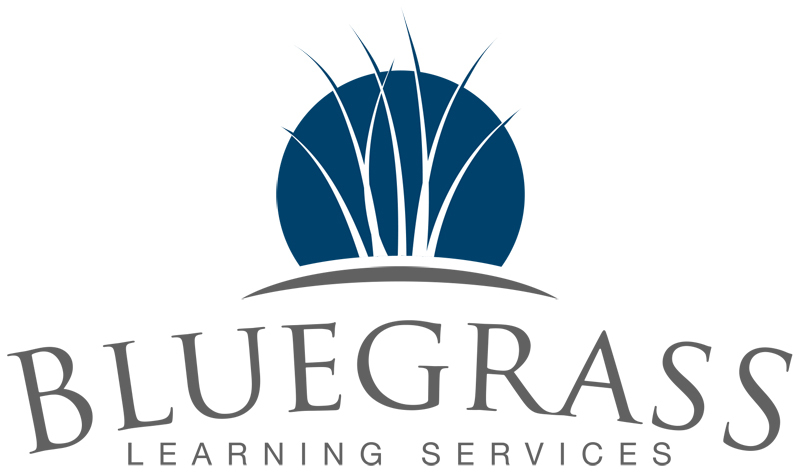 All camps are at the Bluegrass Learning Tutoring Center on Campbell Lane. See this page for address and directions. 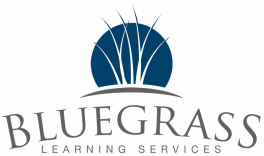 Register your child for any day by filling out the form for their grade level below, or just call us at (270) 904-5949 and we can take your registration over the phone. Payment is due by close of registration (registration close dates are listed above and below).